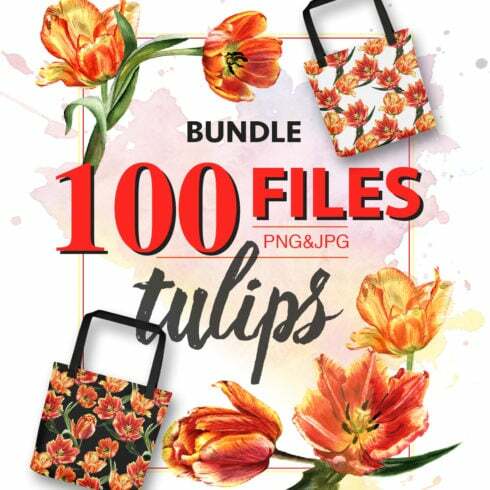 Graceful Tulip PNG watercolor flower setof 100 files. Ideal material for DIY, wedding invitations, greeting cards, quotes, blogs, posters and more. If you’re a web graphic designer taking care of several projects simultaneously, you see the significance of the whole pack of design components at hand. Trying to find those elements separately, you may spend much time and money . To obtain all the desired elements within a single pack, we recommend taking a closer look at graphic package deals. A bundle can be described as a collection of digital design elements required for graphic design, valued for thousands of dollars, however sold at a bargain price for a short time. For any design job, you’ll need lots of elements – a handful of illustrations or photos, a font, just a few icons, etc .. In case you’d want to buy every one of them separately it will cost you lots of money! So, that’s why seasoned web designers look for some graphic bundles to buy. They permit ending up with a huge bunch of different graphic components for a very modest price tag. The selections of components accumulated into a graphics package deal are generally categorized according to their main objective or type. There may be bundles with infographics, icons, business card templates, wedding invitation templates or mockups, etc. On top of that, you will also be able to find graphic bundles particularly for Christmas, Halloween or St. Valentine’s Day. The way to conserve even more bucks on MasterBundles deals? There’s a way to make the MasterBundles.com products more affordable. If you share this webpage in social media – you immediately receive the 5% discount for the graphic bundles that appeals to you. That is a very easy way to get a professionally designed tools cheaper. The deals of stock photos, patterns, logo templates, icons, fonts and textures are available at your disposal. Additionally, you may find the entire offers of WordPress templates, training and ebooks, resume templates, slides, and various other elements. The watercolor package deal is considered to be the prettiest development in design. 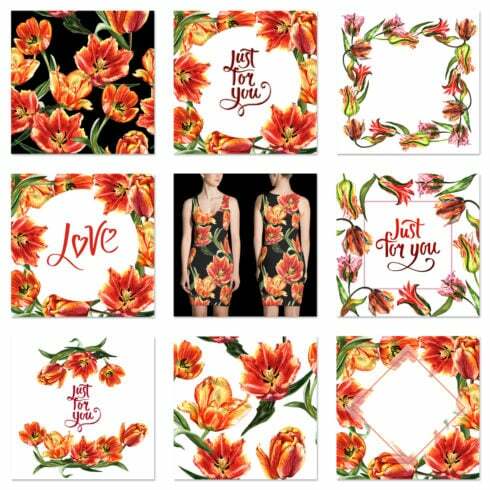 Hand crafted by designers on the paper, the images become scanned and added in a package deal as design templates for design projects. Watercolor components are just great for posters, DIY and wedding invitations. Whether you feel like you have lost track of time while searching for various tools and components for your design tasks, it is a high time to understand more about MasterBundles.com. It is a marketplace providing the hottest tools (fonts, icons, logos, graphics, watercolors, presentations etc.) for web designers, marketers, and developers at an affordable price for a limited time. On top of that, you can use discount coupons and promotional codes for particular offers. To not miss out on important news on the forthcoming promos, we advise following our blog and subscribing to the newsletter.